It’s summertime! And before you start deciding on your summer pool party menus, make sure you are in the know of all things vegan. As more people are looking to avoid animal-derived ingredients and lead a healthier, plant-based lifestyle, here’s a list of this summer’s top food trends you will be seeing at Veg Food Fest this year. · Artisan Cheese: long gone are the days of putting this delicious sandwich topper on the sidelines. Gourmet vegan cheese, made from soy protein or various nuts, is the latest in vegan food, with various must-try brands such as Miyoko’s Creamery. Tons of recipes are available online and if you are looking to try something local, check out Zengarry or Tori’s Bakeshoppe. · California Bowls: this health yet delicious meal can be made with almost an infinite arrangement of ingredients. Whether they start with quinoa, rice, or noodles at the base, they are filled with lots of vegan goodness including but not limited to sweet potato, spinach, beans, corn, onions, tomato, and the all time favourite—avocado. Be sure to try Fresh Restaurants or Green Zebra Kitchen. · Smoothie Bowls: It is safe to say that most, if not all foodies have had a smoothie in their lifetime—but have you had it in a bowl? Make your vegan smoothie a more complete meal with the simple addition of a few ingredients such as granola, almonds, chia, hemp or flax seeds, coconut flakes, nut butter, and whatever else your heart desires. Keep an eye out for this vegan foodie trend! · Vegan Ice Cream: Can you go through summer without a frozen treat? Neither can vegans. Vegan ice-cream is one of this summer’s most popular DIY foods, using coconut milk, cashews, maple syrup and bananas or virtually any fruit and vegetable you have in mind. Drop by Pleasantville Creamery or Cosmic Treats to try their scrumptiously creamy delights. · Vegan Bacon: Start enjoying bacon made from healthy foods like carrots, tempeh, eggplant or tofu. This latest vegan obsession is a blessing to those committed to the vegan lifestyle, but constantly thinking about crispy, greasy goodness. Visit YamChops to try their delicious bacon bits made out of coconut! For more information, please visit the Veg Food Fest. 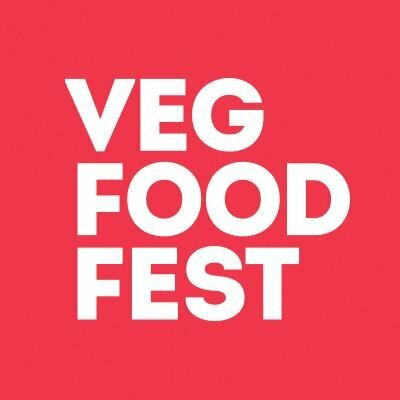 Follow @VegFoodFest or ‘Like’ them on Facebook.